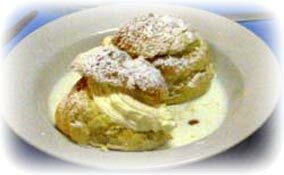 The word Semla comes from the Latin Simila, which simply means “finely sifted white flour” From the beginning these buns were an expensive delicacy, filled with almond paste and garnished with wiped cream. 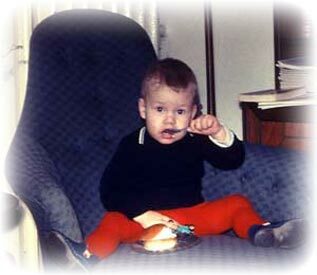 The name Shrove Tuesday Buns, refers to the time of the year when they are raditionally eaten. On the 18th century they served these temptations as a wedge formed bun stuffed with almond paste boiled in milk. Hetweggen is German for warm wheat bun. Many people eat the buns together with hot milk. That's called a “Hetvägg” from German heetweggen (warm wheat bun). At the beginning of the 20th century pastry cooks and confectioners started to fill the bun with wiped cream and that's how it looks today. 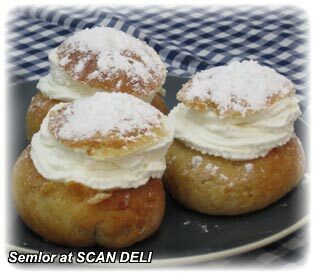 Today they start to sell the Semla in January long before the Shrove Tuesday. Why wait for something yummy? 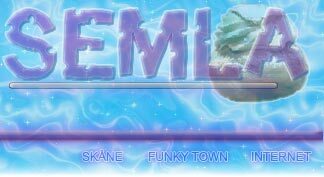 Well, now I hope you know a little about the Semla. 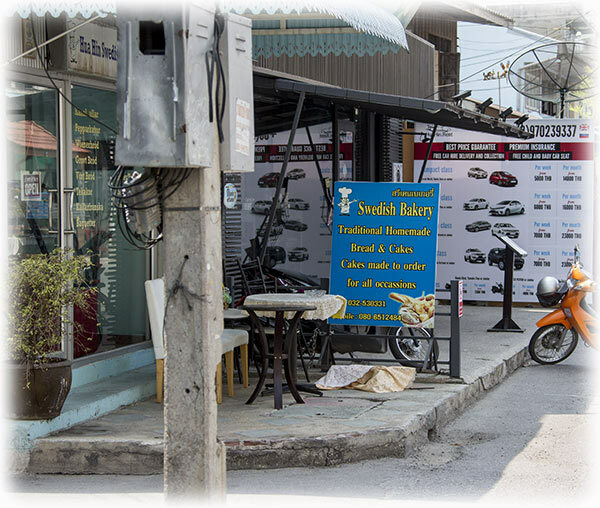 SCAN DELI at Sukhumvit Soi 18 in Bangkok. I went there to eat with my friend and Tuesday the 22nd of March 2011 goes down the history books as the day when I had my first (3) semla in Bangkok. I ate it at SCAN DELI and I'm sure these service minded staff will be able to make it for you whatever time of the year you want it. 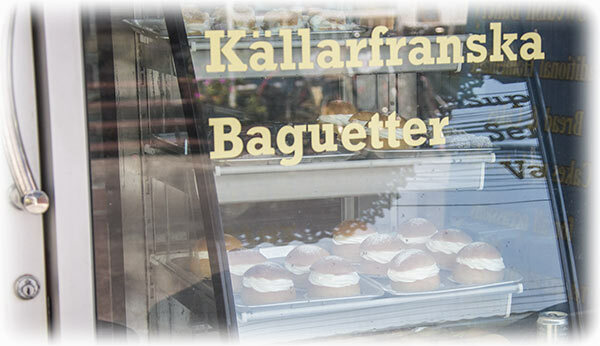 I was doing bird watching in Hua Hin and I found a Swedish Bakery and they had the windows full of semlor. So of course I made a mandatory stop. 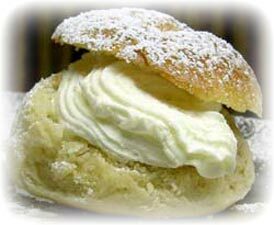 And I can really recommend their semla. Start with one as I did, and I ended up having four!